2 tier cake is a perfect choice for wedding, reception or anniversary.You can specify your choice of flavor.Cakes have become an integral part of occasions. 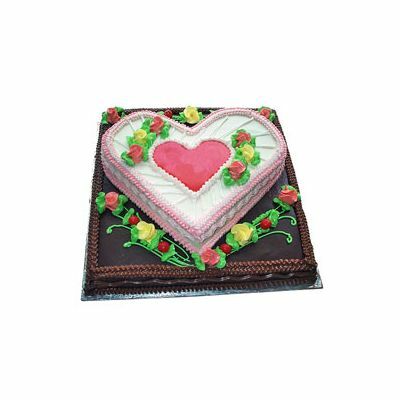 We make cakes for every occasion, our cakes vary in size, flavor and design and complement very event. Our Two Tier Cake (Without cooling )weighs 3 kg and is ideal for wedding receptions, anniversary and engagement parties. We not only use the best ingredients available but also offer you a choice of five flavors; pineapple, vanilla, strawberry, chocolate and butterscotch. Our home delivery service will deliver the cake at your place; for surprise parties we have special midnight deliveries. 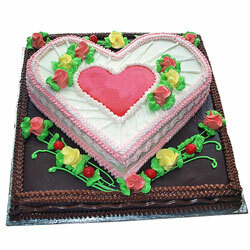 Cakes are the best gift you can send to the dear ones faraway; send cake online and express your warm regards.